The fall 2018 semester will begin on August 27. For a full list of courses offered in the fall, visit the SBMI Semester Schedule webpage. Assistant Professor Tiffany Champagne-Langabeer, PhD now serves on the e-Health Advisory Committee as an expert in telemedicine. She was appointed by the Executive Commissioner of the Texas Health and Human Services Commission (HHSC). The e-Health Advisory Committee advises the HHS System agencies on strategic planning, policy, rules and services related to the use of health information technology, health information exchanges systems, telemedicine, telehealth, and home telemonitoring services. 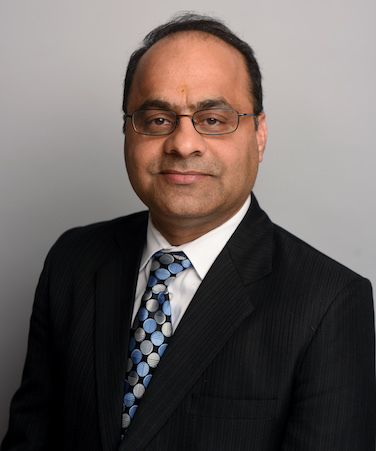 SBMI Alumnus Ashish Joshi, PhD, MPH was recently named Senior Associate Dean of Students and Academic Affairs for the CUNY Graduate School of Public Health and Health Policy. Joshi earned his PhD from SBMI in 2011. TMC News published a spotlight on Professor Lex Frieden. MA and his impactful work as a disability rights activist. Professor James Langabeer, Ph.D., was featured in a segment on Houston Matters, the noontime talk show of Houston Public Media's KUHF Radio. Langabeer was in the first segment on a proposed increase in ambulance fees..